A cruise vacation can surround you in luxury, provide non-stop family entertainment, expose you to breathtaking adventures, and more. A cruise can be anything you want it to be, from a stress-relieving getaway to a non-stop party ship. There are a lot of top cruise lines from which to select. Choose the one that best meets your travel preferences. Crystal Cruises earned the top spot in Travel + Leisure's list of the top 10 "large-ship cruise lines." The company has also been recognized by Condé Nast Traveler readers as a top cruise option for many years. Additionally, the Hillman Wonders of the World cruise guide says this line offers the best dining, mentioning great onboard restaurants and a dedicated staff of chefs and appealing food presentation. Onboard amenities include the Crystal Casino, computer classes, and celebrity entertainers. Named as the best luxury small ship cruise line by Hillman Wonders of the World, Silversea is an ideal option for travelers who prefer upscale surroundings and undertake innovative itineraries. Travelers enjoy amenities such as private verandas, a personal butler, incredible gourmet dining, and "enriched voyages." In 2016, Silversea received a CruiseCritic 'Editors' Picks' award for having the best itineraries. In 2017, the line was recognized by international luxury travel network Virtuoso® for having the "most innovative itinerary." The readers of Condé Nast Traveler named Celebrity Cruises among the five best large ships in the world in 2017. It also came in at number seven on Travel + Leisure's list of the best large cruise ship lines. Although most cruise lines offer spa services, SmarterTravel.com named Celebrity as the best cruise line for spa lovers. Travelers can take a dip in the AquaSpa's Thalassotherapy pool, scrub down with seaweed soap, or enjoy a Hawaiian four-hands massage. Disney Cruise Line is easily the best cruise option for families with young children, as shown by its designation at Hillman Wonders of the World and the SmarterTravel website as the best cruise line for families, particularly those with young children (under 12). These cruises aren't just for kids, though. As pointed out on Bloomberg.com, many "adults without kids are obsessed with Disney cruises." Younger travelers will enjoy the kid-focused activities and visits from popular Disney characters. Grownups can enjoy an adults-only pool and the services they would expect from any cruise line, including spa treatments and romantic dining options. Windstar Cruises was named as the "best boutique cruise line" in 2017 in USA Today's Readers' Choice awards. It was also included in the coveted 2017 gold list published by Condé Nast Traveler, an honor it has held for five straight years. Much of Windstar's appeal comes from its unconventional ship style, more like a yacht than a traditional cruise ship, complete with full sails. However, the ships also offer luxury accommodations and fine dining. 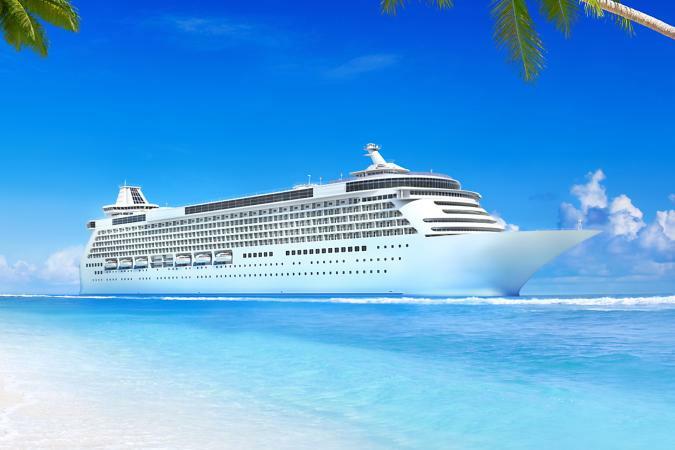 Regent Seven Seas Cruises has received numerous accolades and honors. For example, the line received multiple CruiseCritic 'Editors Picks' designations, including "best cabins" (2016 and 2017) and "best luxury cruise line" (2017). Virtuoso describes the line as "the most inclusive luxury experience," As a mid-size ship, Regent offers more options than some of the smallest cruise lines without becoming overwhelming. The setting is high-class while still remaining casual. Fodor's Travel describes Royal Caribbean as one of the best mainstream cruise lines, pointing out that "mainstream cruise lines are great when you're traveling with a group since they offer something for everyone." Affordable fares lead Hillman Wonders of the World to name it the best cruise in the mid-price range, touting its "middle-of-the-road mix of passengers" as the perfect environment for first-time cruisers. A large variety of shipboard activities, including fitness centers, rock climbing, water parks, shopping and shows, give the cruise line wide-ranging appeal. Carnival has long been recognized as a leading cruise line in various award programs. They received several 10 Best Readers' Choice from USA Today, including best entertainment, best cruise line for millennials, best ocean cruise liner, and more. A testament to the variety of activities and amenities it offers, Hillman Wonders of the World names Carnival both the best cruise line for families that enjoy multi-generational travel and the best party destination for young adults. Although Carnival lacks the luxurious setting of some other cruise lines, it offers a more accessible cruise experience that promises entertainment options for nearly every taste. In 2017, Cunard was named as the very best mega-ship ocean cruise line in the world by Travel+Leisure. For this luxurious cruise line, this high honor is just one in a long line of accolades. Noted by SmarterTravel.com for its "glitz and glamour", Cunard maintains the standards of traditional high-class ships. Travelers are more likely to be seen in black tie than resort casual. If afternoon tea and theater performances are more in line with your idea of a cruise than rock climbing or a kiddie pool, this is the ship line for you.